"Greetings fellow guitar enthusiasts. I'm Scotty West. Thanks for your interest in our DVD guitar lessons. These 32 hour-long guitar instruction videos contain all you need to know to truly understand your instrument and how it relates to all styles of popular music." 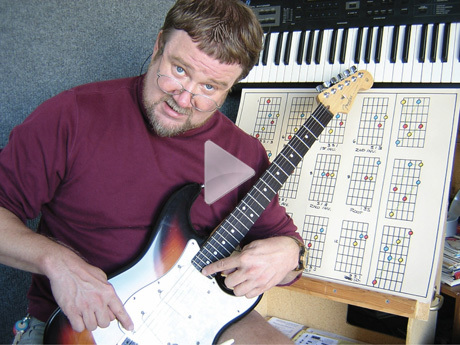 "Today there is a positively dizzying selection of guitar lessons available online, in books and on video, if you're having trouble making sense of it all then look no further. Our guitar lessons have been carefully crafted to ensure that you will finally get "The BIG Picture". Join thousands of satisfied students worldwide and become the guitar player you always wanted to be. There are thousands of guitar lessons out there that will show you how to place your fingers to play specific songs. You may find this fun for awhile but it's not likely to keep you satisfied for the long haul. My "music as language" approach to guitar lessons will allow you to easily answer questions many of you have had for years and get you on the true path to creative fulfillment. Some guitar lessons have you jumping around sampling this-and-that so you end up with a scattered vision of how music works. Our video guitar lessons are different. They're designed to be viewed in order so each concept flows into the next. You could learn how to play guitar as well as or even better than your favorite guitar heroes. You'll finally be able to actually "think" on your instrument ... learn songs by ear ... write your own music ... solo with power and passion. It's easy if you get it explained to you in the right way. These guitar lessons on DVD provide a solid foundation in music theory, ear training and guitar technique all totally integrated and profoundly well organized. I'm also personally available 7 days a week to answer questions via phone or email and that service is free of charge. What other guitar lesson program offers that? We've posted our first 4 introductory video guitar lessons right here on our web site free of charge for you to enjoy. Beginners as well as more experienced players are bound to gain valuable new insights in the very first lesson." 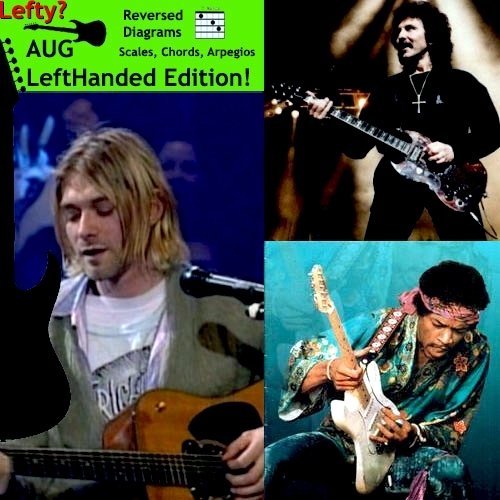 AUG Left hand edition is now available. A revised edition centered around the needs of left handed players. Watch our Free Video Guitar lessons here. You'll be amazed at how much you will learn! Celebrating 12 years on the web and thousands of happy students worldwide! What makes our guitar lessons program the best? 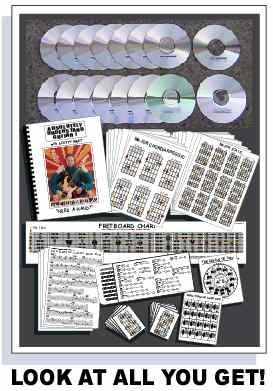 These 32 hour-long DVD guitar lessons were designed to be viewed in order so you get a cohesive and comprehensive vision of music and how it applies to the guitar in all styles of popular music. These DVD guitar lessons were all professionally written, filmed and edited in high resolution video with multiple camera angles and close-ups of finger positions. This visual approach is vastly superior to trying to learn to play guitar from books or CDs. By the time you're finished with our guitar lessons, you'll know pretty much all there is to know about guitar technique, guitar theory and ear training as well as performance and practice tips. Scotty is available 7 days a week 10am to 10pm eastern time to answer your questions via phone or email free of charge.